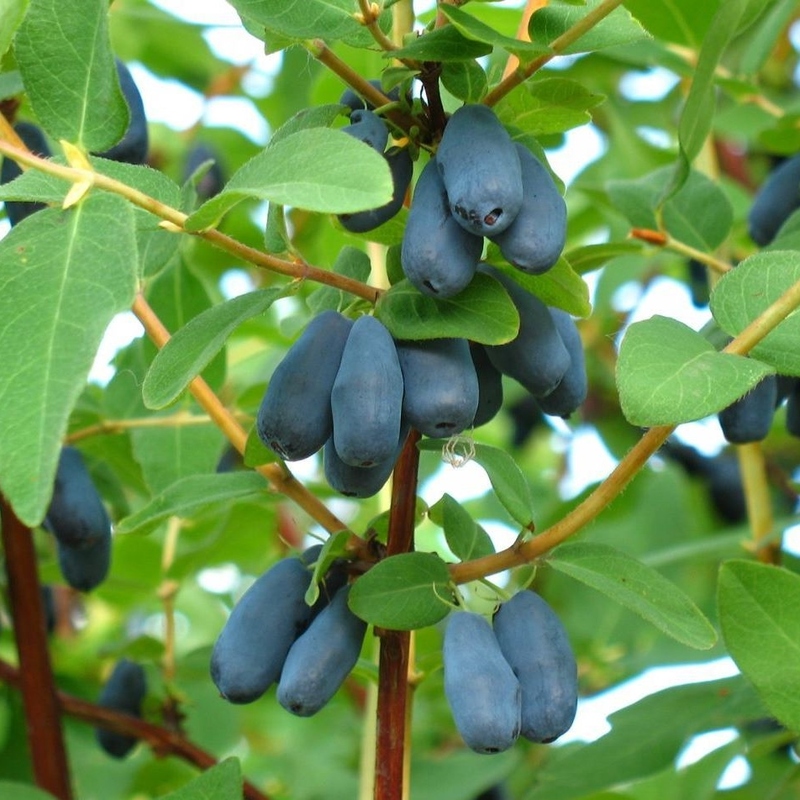 An attractive easy to grow deciduous shrub producing clusters of purple/black edible berries during the summer followed by beautiful red and yellow autumn foliage. 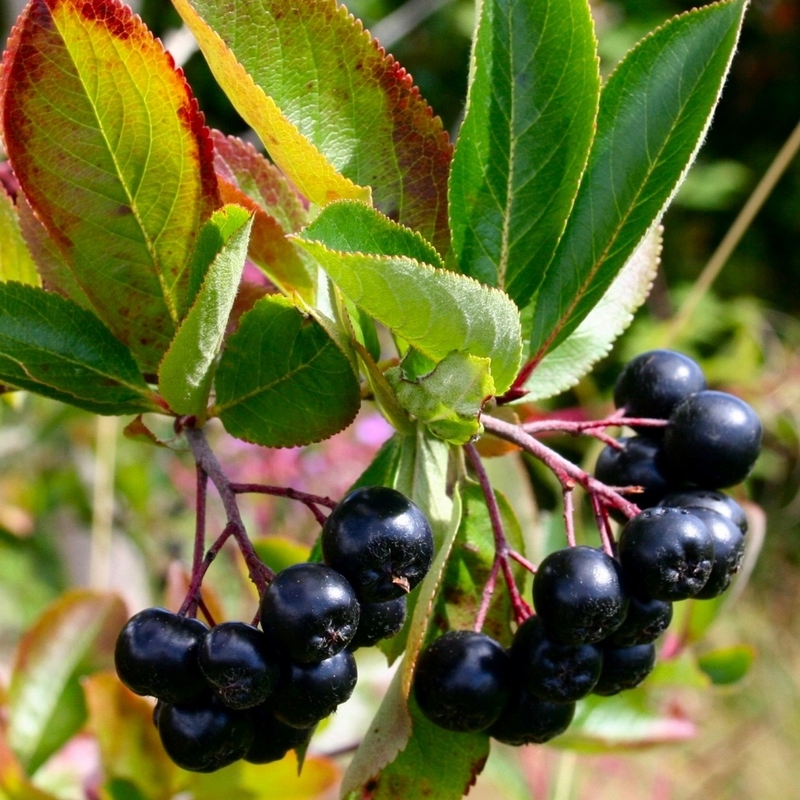 Purple Chokeberry (aronia berry) has been described as one of the most healthiest fruits, high in antioxidants and Vitamin C. It is reported to have 3 times the antioxidants of the Blueberry and has handsome levels of minerals, vitamins, and dietary fibre. In the kitchen: Delicious in smoothies, added to your cereal or in muffin or pancake batter. This is a self-fertile variety that produces both male and female creamy-white flowers. 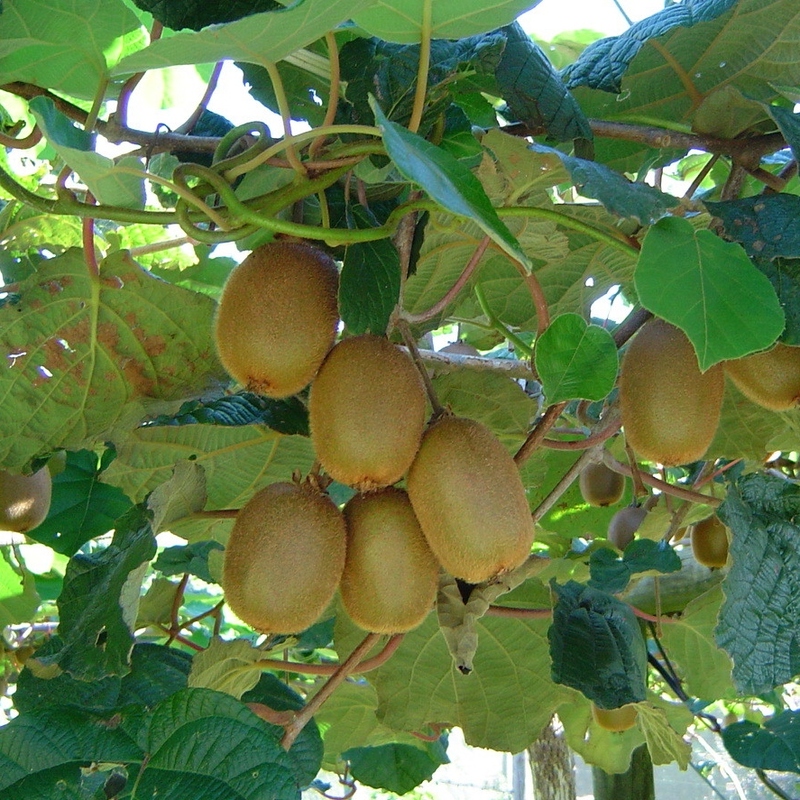 This means only one plant is required to produce delicious kiwi fruit. The kiwi fruit is rich in vitamin C, vitamin E, potassium, dietary fibre and magnesium. Planting & growing tips: Dig a good sized hole and pop your plant in just below ground level and cover with soil. Can be grown in pots or large containers initially, however you will need to increase the pot size as the plant begins to establish itself. It is a fast growing climber, which is best grown against a warm, sheltered wall in a sunny spot. In the kitchen: Kiwi fruit tastes best raw and is a rich source of Vitamin C. It can be mixed into fruit salads or added to pavlovas. It is recommended to grow two honeyberry plants alongside each other (approx 1.2m apart) to aid pollination. Can be delivered from: May until September. This plant will arrive in a 9cm pot. These are a fantastically beautiful plant to have in your garden: delicious, nutritious, and easy to grow. They’ll grow in almost any type of soil even if it is poor, as they are used to mountainous regions in the Himalayas. Unique among fruits because they contain all essential amino acids, goji berries also have the highest concentration of protein of any fruit. They are loaded with vitamin C, contain more carotenoids than any other food, have 21 trace minerals, and are high in fibre. Boasting 15 times the amount of iron found in spinach, as well as calcium, zinc, selenium and many other important trace minerals. Can be grown in: Dig a good sized hole and pop your plant in just below ground level and cover with soil. Can be grown in pots or large containers initially, however you will need to increase the pot size as the plant begins to establish itself. You will receive full growing instructions with your plant. 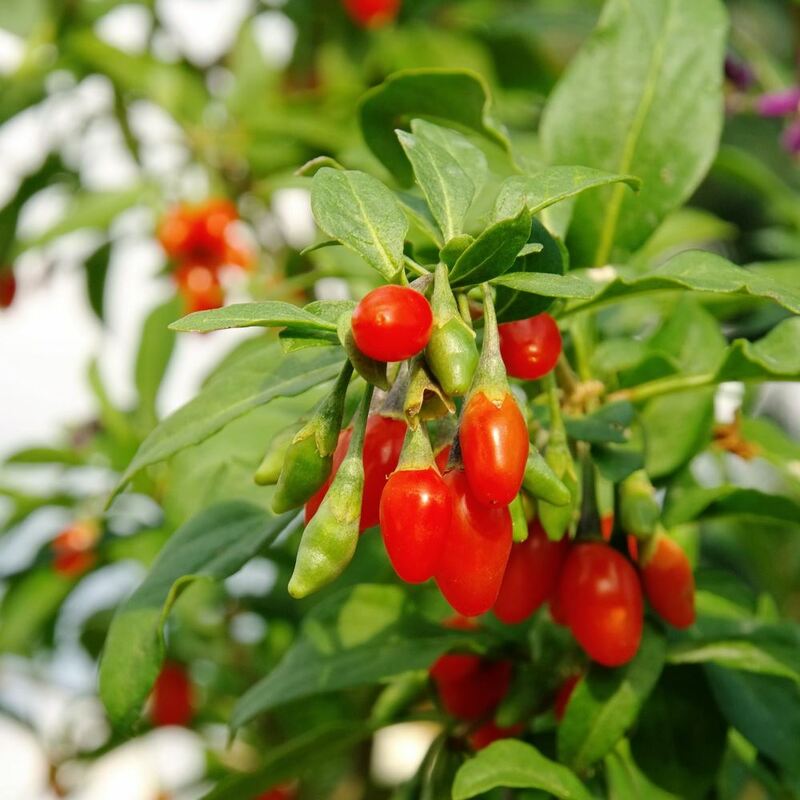 In the kitchen: The Goji berry is so versatile. Brew them in fresh tea, enjoy them raw, use them in juices and smoothies. Dry them out and add them to your cereals or your flapjack or muffin mixture. Delicious! Can be delivered from: May -September. This plant will arrive in a 9cm pot. Producing juicy red strawberries of superb quality and flavour, this late season variety seems to excel in damper conditions. A prolific cropper with exceptional pest and disease resistance. In the kitchen: Great picked fresh from the garden and served with lashings of Cornish clotted cream! Yummy yummy yummy! 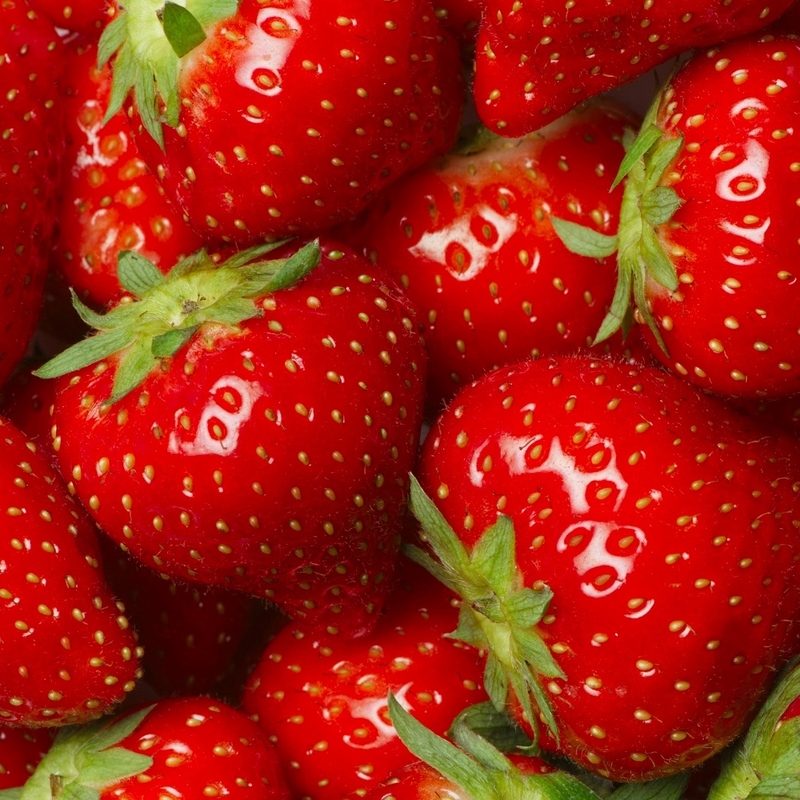 This is an excellent early variety of strawberry with bright red fruit of superb quality and flavour. Will produce fruit for many seasons to come from June onwards. In the kitchen: Great picked fresh from the garden served with lashings of Cornish clotted cream! Yummy yummy yummy! 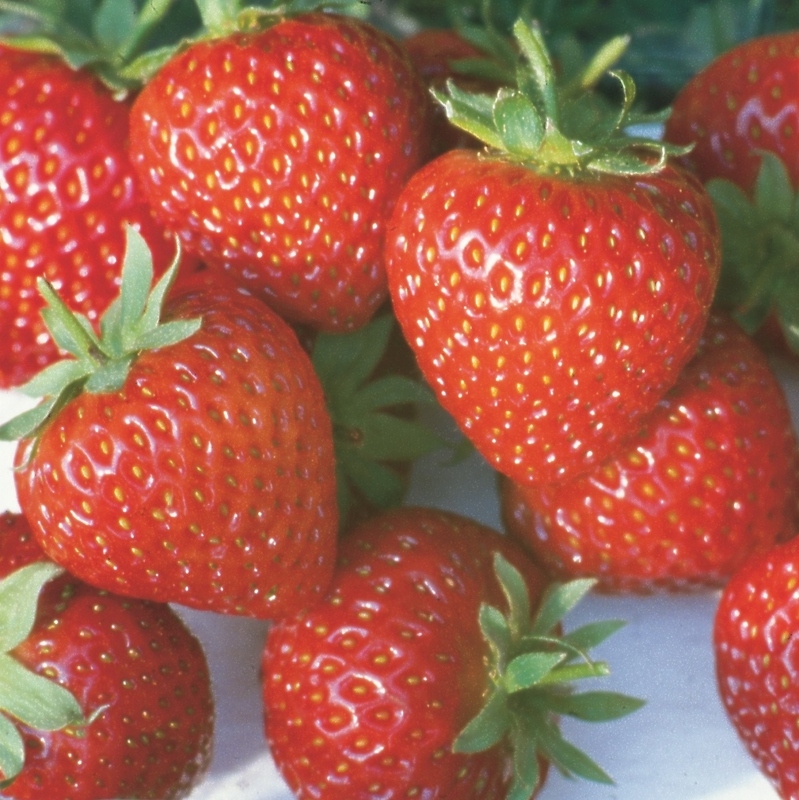 This is an amazingly popular mid-season variety of strawberry, which will produce a crop of juicy red fruits bursting with excellent flavour. This superb variety is reliable and tolerant of most situations. A taste of summer in your garden! 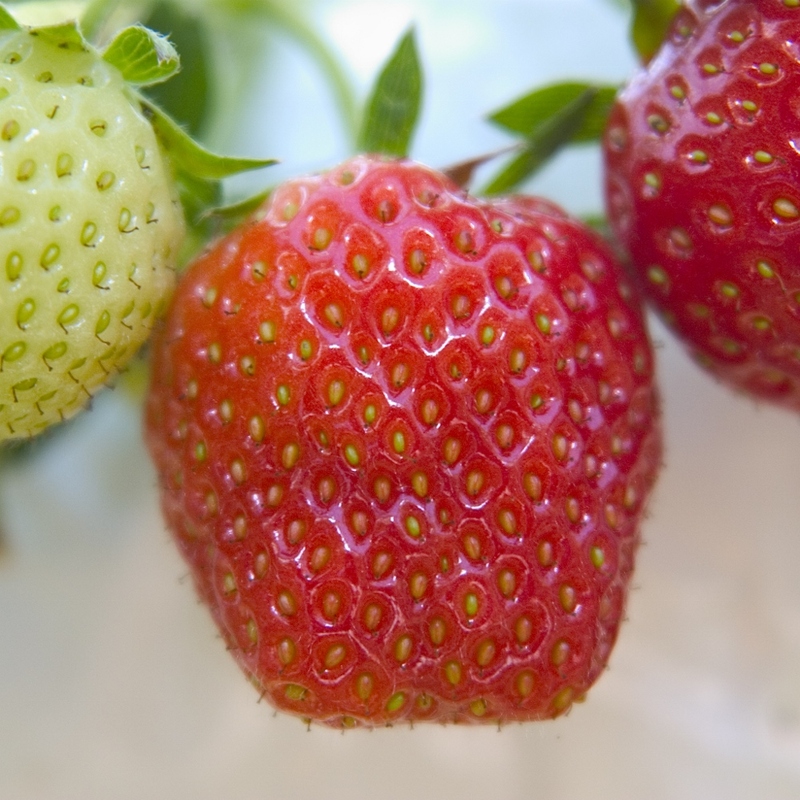 A perfect introduction to growing strawberries. Just pop these plants in and watch them grow. 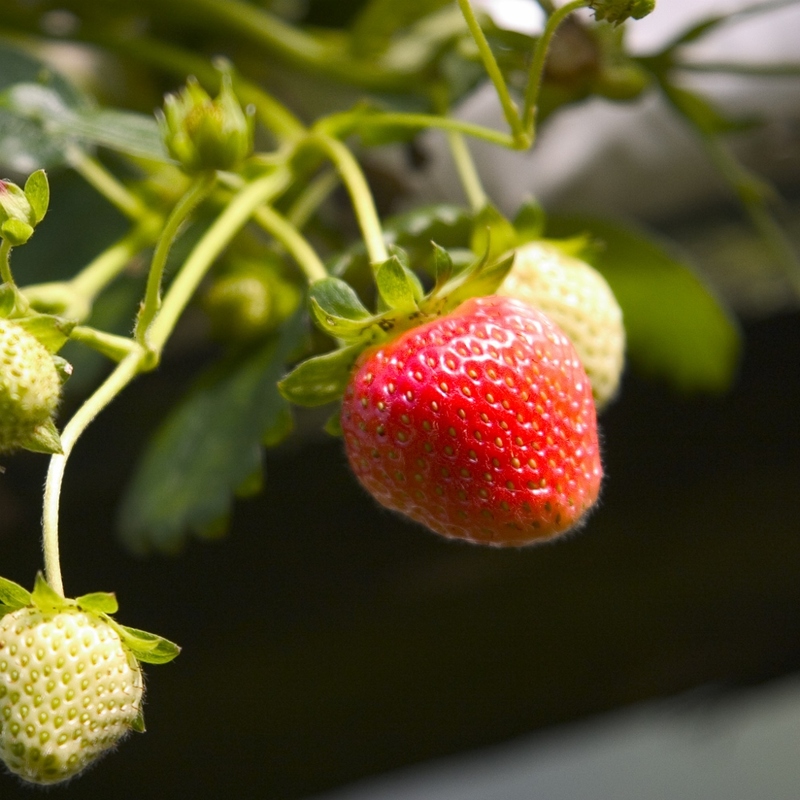 Strawberry plants will normally fruit for three seasons or more. Can be grown in: All these plants can be transferred directly into your garden, containers, large pots, window boxes or grow bags. Contents of this pack may change slightly depending upon the season. This perennial vegetable provides the first ‘fruit’ of the season. 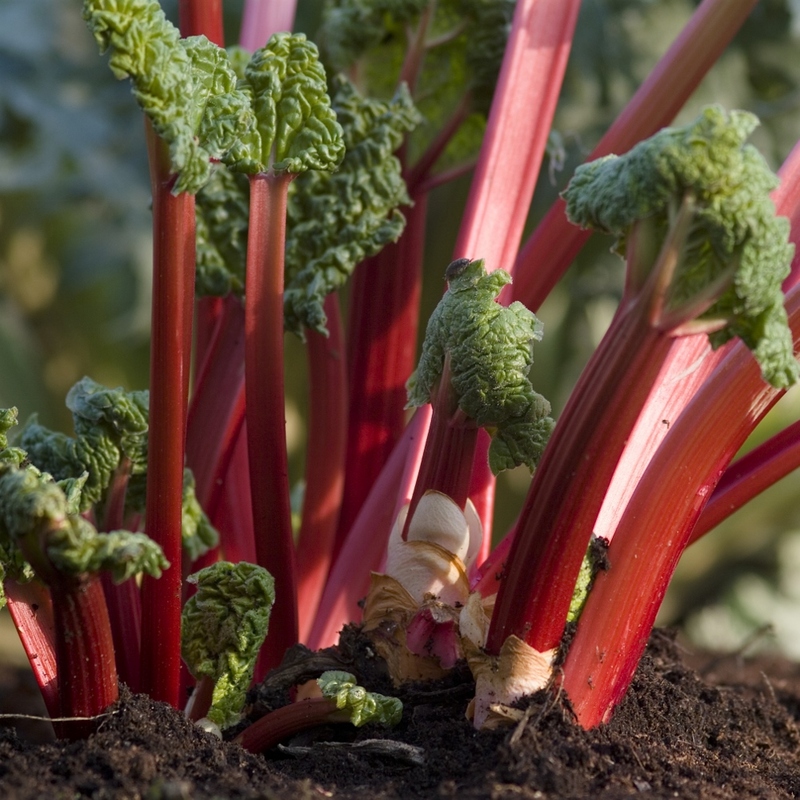 Rhubarb is reliable to grow, even in poor soil although it responds really well to rich, well drained conditions and annual autumn manuring which’ll give you large crops of tender juicy stems, delicious for cooking with. In the kitchen: Good for so much more than crumble. Try making a delicious rhubarb cheesecake, tart, pie, fool, Eton Mess and even chutney. We will also include a handy grow guide packed full of advice to help you look after your new plants. We will also include a handy grow guide packed full of advice to help you look after your new plants. This perennial vegetable provides the first ‘fruit’ of the season. 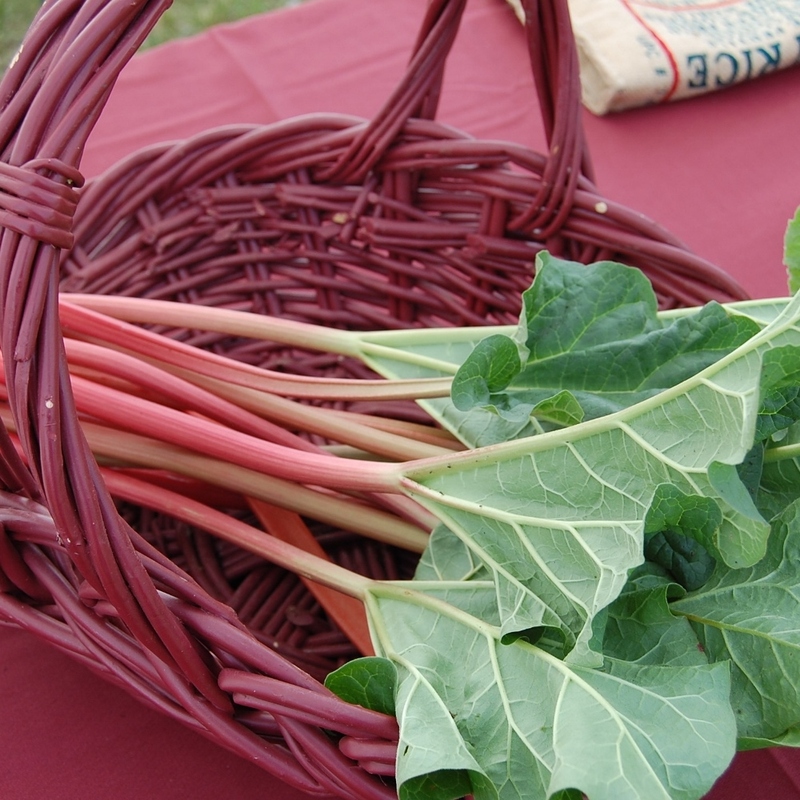 Rhubarb is reliable to grow, even in poor soil although it responds really well to rich, well drained conditions and annual autumn manuring which will give you large crops of tender juicy stems, delicious for cooking with. We will also include a handy grow guide packed full of advice to help you look after your new plants. 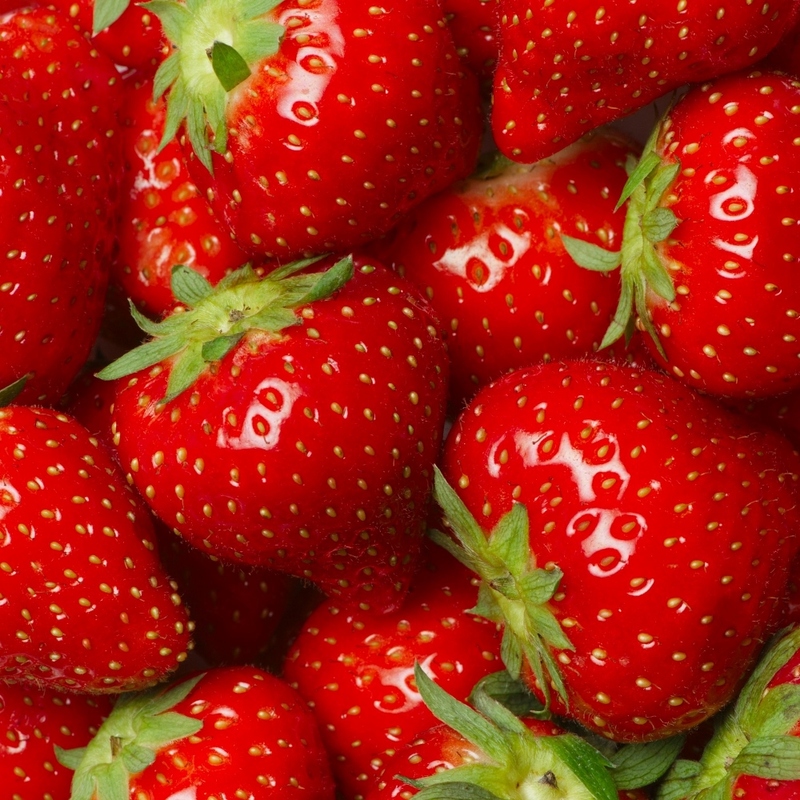 This bright and juicy berry is an extremely heavy cropper with an excellent taste. 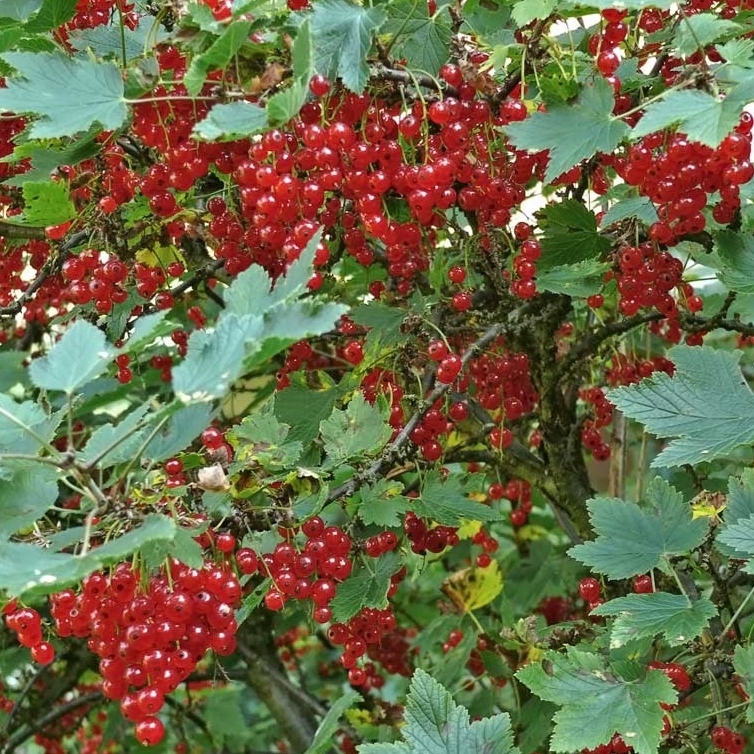 Like gooseberries and blackcurrants, redcurrants develop a permanent framework of shoots so can be grown as fans, espaliers, cordons, standards, as well as bushes. Planting & growing tips: Dig a good sized hole and pop your plant in just below ground level and cover with soil. Can be grown in pots initially, however you will need to increase the pot size as the plant begins to establish itself. You will receive a growing guide with your plant. In the kitchen: These berries are perfect to use in sweet and savoury sauces, smoothies, jams, jellies, and pies. 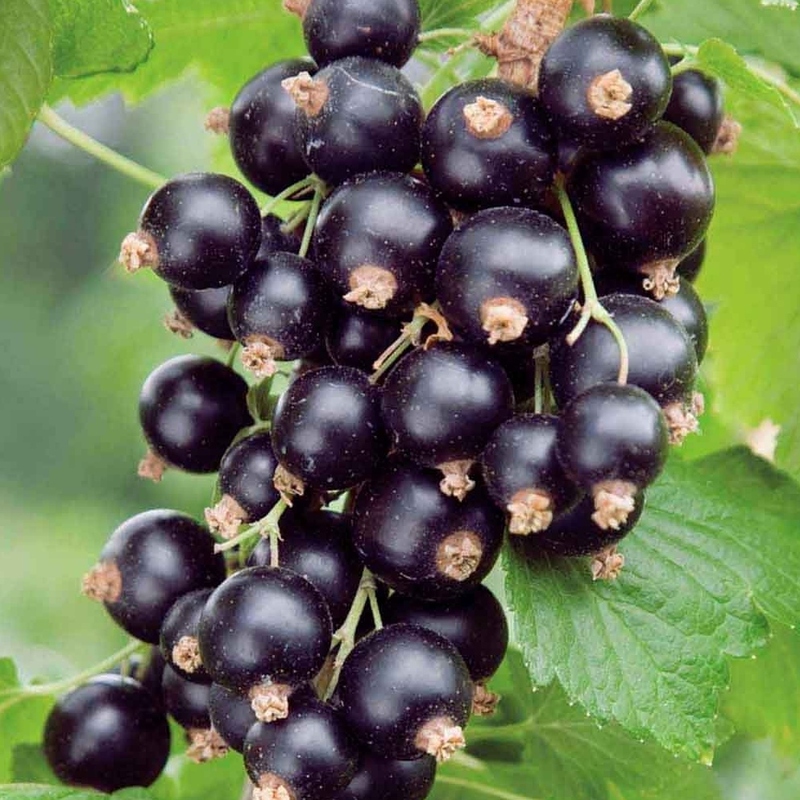 This is one of the most popular varieties of blackcurrant grown in the UK and requires minimum pruning between seasons. It is well suited to colder climates and frost pockets. It also has Mildew resistance making it a very hardy plant. Flowering in early May, the crop is ripe by the last week of July making it a mid-season variety. 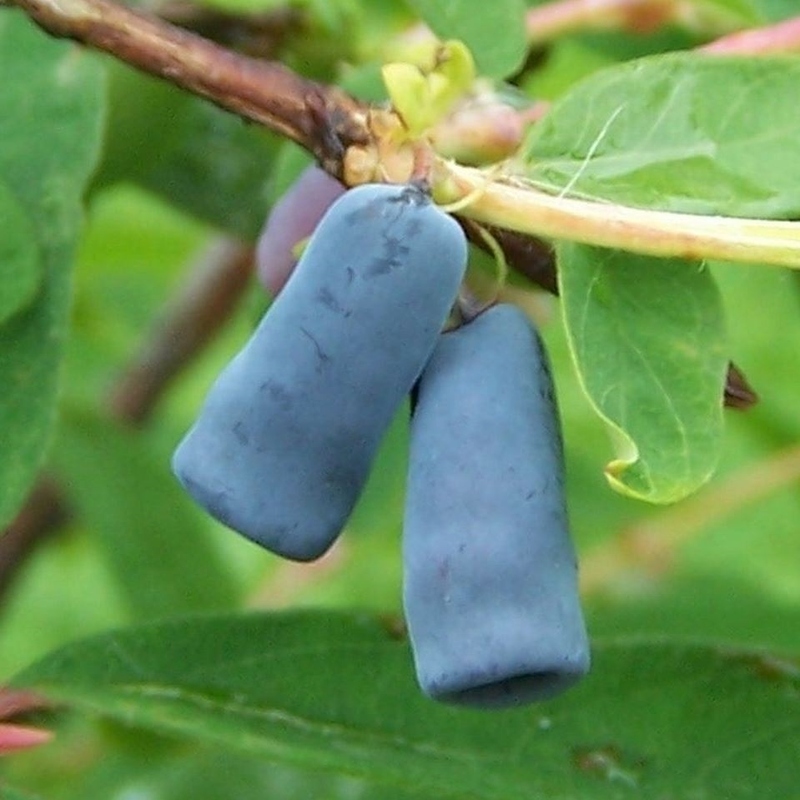 These plants produce heavy clusters of large berries along the stems. In the kitchen: This harvested berry is delicious in summery puddings, used for making jams or even freezing. Can be delivered from: Late April onwards. This plant will arrive in 2 litre pot. We will also include a handy grow guide packed full of advice to help you look after your new plant. The bush is strong, vigorous and very reliable. 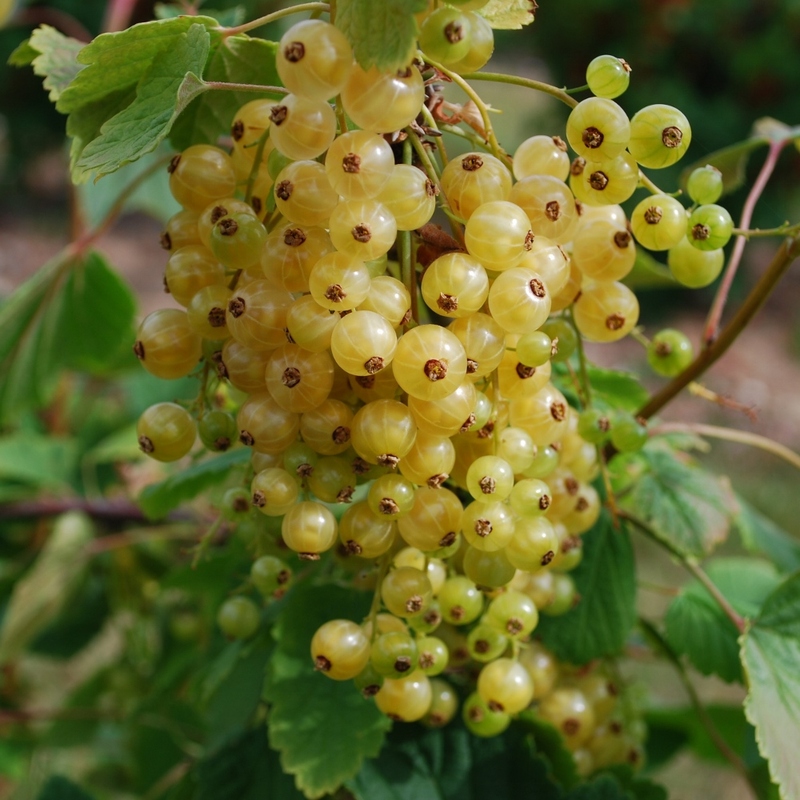 This is a very popular whitecurrant variety producing heavy crops of large, sweet, pale yellow berries. The super healthy fruits look beautiful mixed in a dish with other berries. Fruits ripens from early July. In the kitchen: These berries are perfect to use in sauces, smoothies, jams, jellies, and pies. 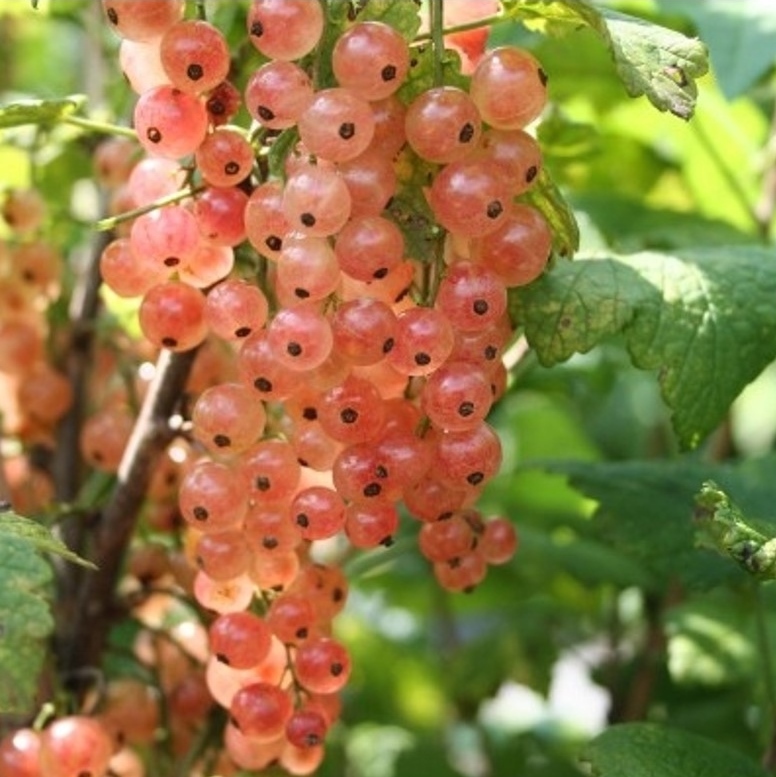 This is a slightly more unusual addition to the fruit garden with beautiful translucent pink currants that have a wonderful scent and are bursting with sweet, juicy avour. Fruits ripen from mid July. In the kitchen: Perfect berries for preserves and summery desserts. One of our favourites is a lovely pink currant and meringue pie! This is a hardy and vigorous fruiting mid-season red gooseberry which reliably produces heavy crops of large, sweet, red berries. It is particularly resistant to mildew making it ideal for organic growing and a good choice if you’re new to growing fruit. Planting & growing tips: Dig a good sized hole and pop your plant in just below ground level and cover with soil. Can be grown in pots initially, however you will need to increase the pot size as the plant begins to establish itself. In the kitchen: Delicious in summery desserts. Try making a gooseberry fool with these delights, or perhaps a gooseberry jam. With their fragrant acidity, gooseberries make a lovely sauce for meat also – try with roast pork or pork chops. 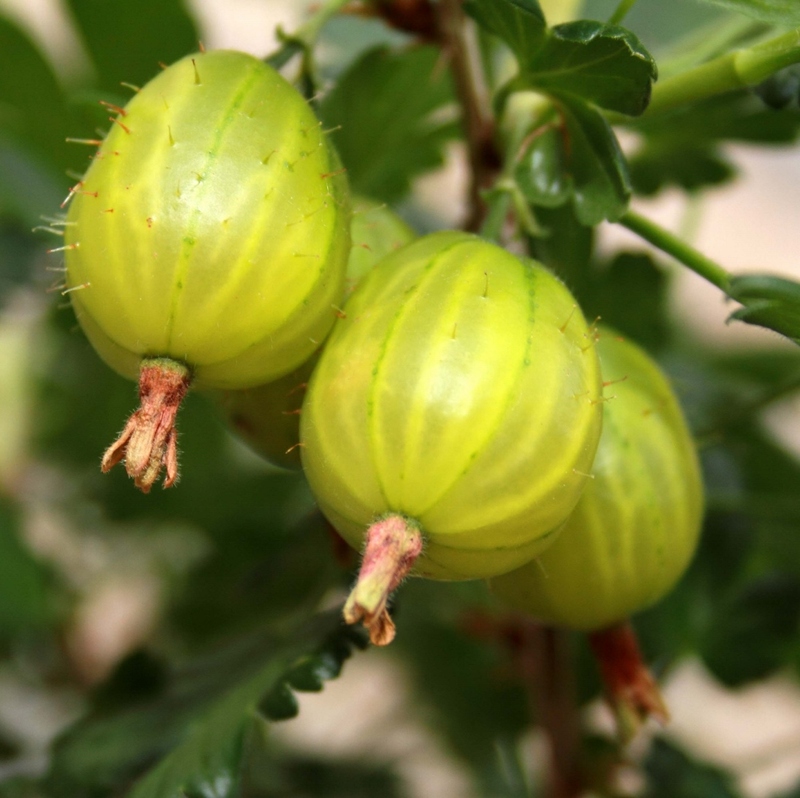 These young gooseberry bushes are really easy to grow, but watch out for the spikes! You won’t find a better cropping gooseberry bush than this one! It’ll grow to just over a metre big, so leave it plenty of space when planting and choose a nice sunny spot. 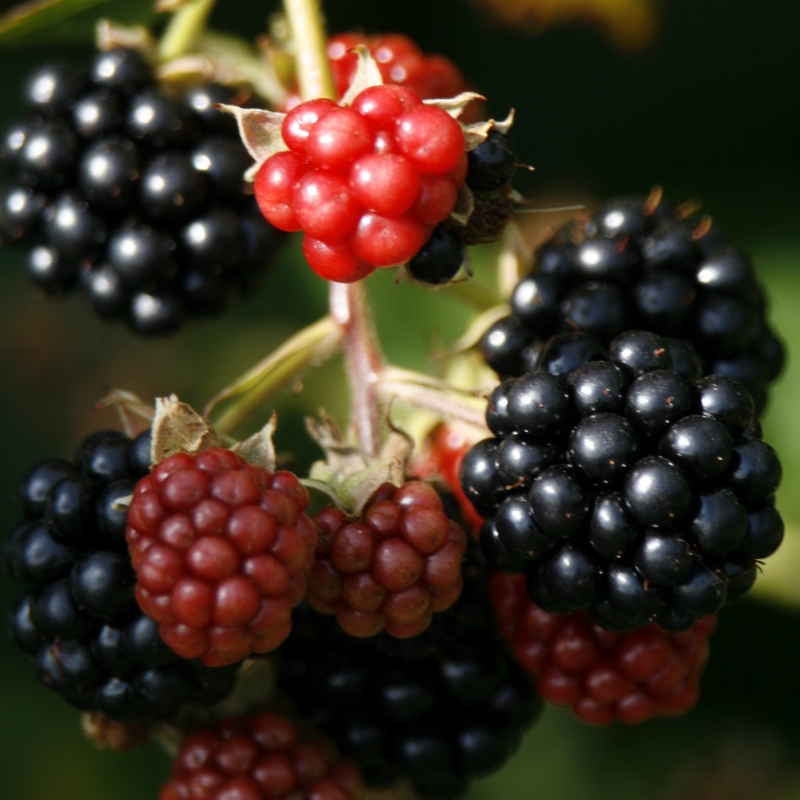 Once established will be harvestable in July and will provide you with delicious fruits for years to come. In the kitchen: Perfect berries for preserves and desserts. 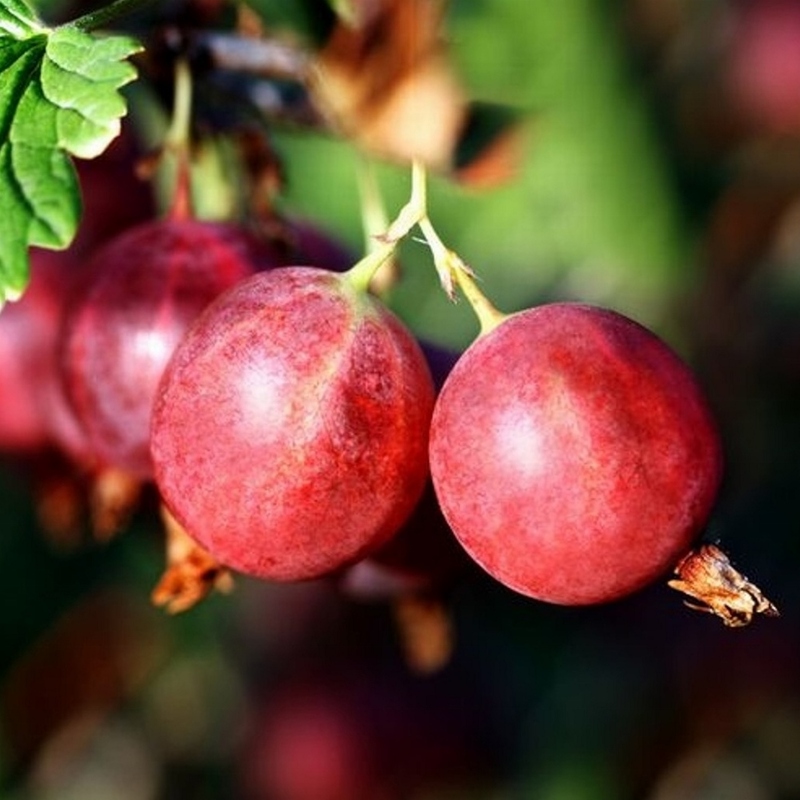 With their fragrant acidity, gooseberries make a lovely sauce for meat also – try with roast pork or pork chops. This hardy variety of Blueberry will provide you with a wealth of big juicy fruits that are simply bursting with the most delicious flavour. 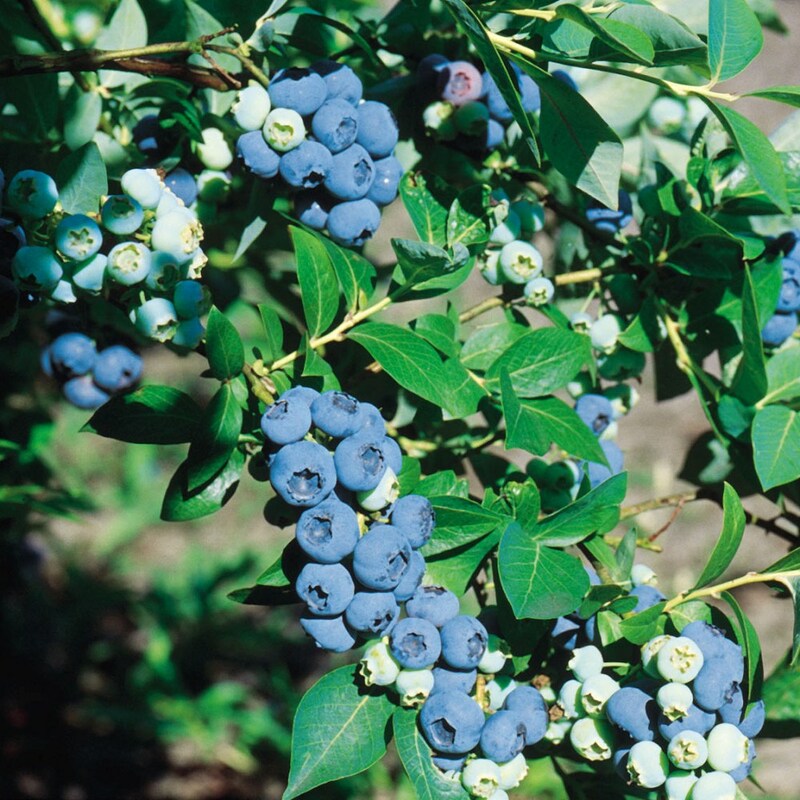 This Blueberry bush will produce fruits for around 6 weeks over the summer through July and August. And when it’s not producing blueberries, the bush bares masses of sweetly scented creamy white flowers in spring, and fiery crimson foliage in the Autumn. It’s a good option for smaller gardens as it’s not as big as other varieties and is self-pollinating so you only need one plant for a crop. In the kitchen: Blueberries are an incredibly healthy fruit. So it’s a happy coincidence that there are also incredibly tasty and versatile too. Can be used in a wide array of summery desserts. Delicious with pancakes, in muffins, or smoothies. This variety is also very good for freezing. 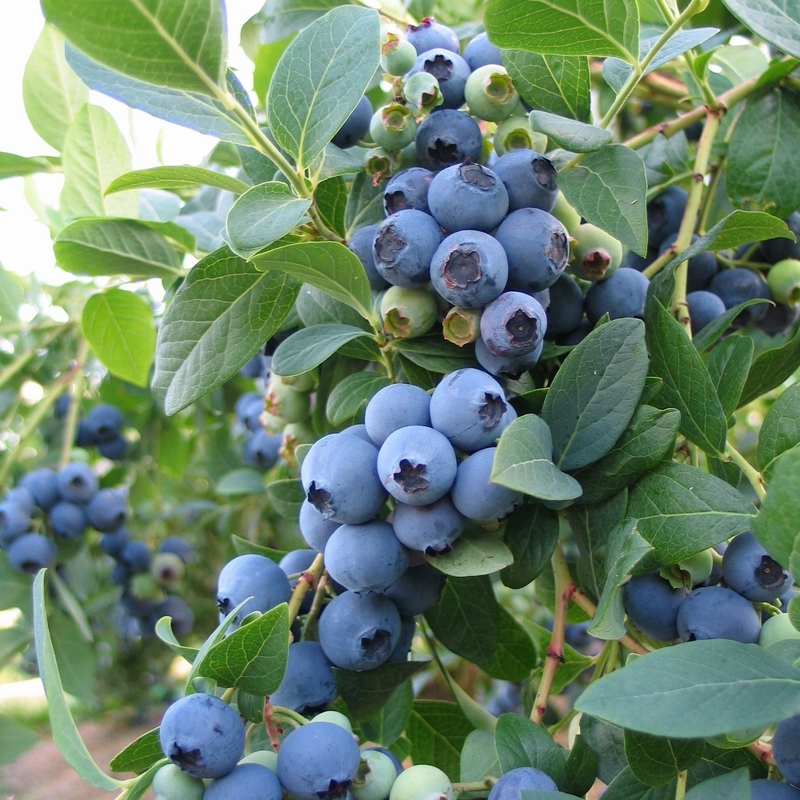 This hardy variety of blueberry will provide you with lovely firm, light blue, tasty berries with a crisp texture. If you’re growing in pots, then this is a great choice as it’s a compact variety that crops well. It’s self pollinating too, so you only need one plant. It is a thirsty bush, so give it plenty of water. 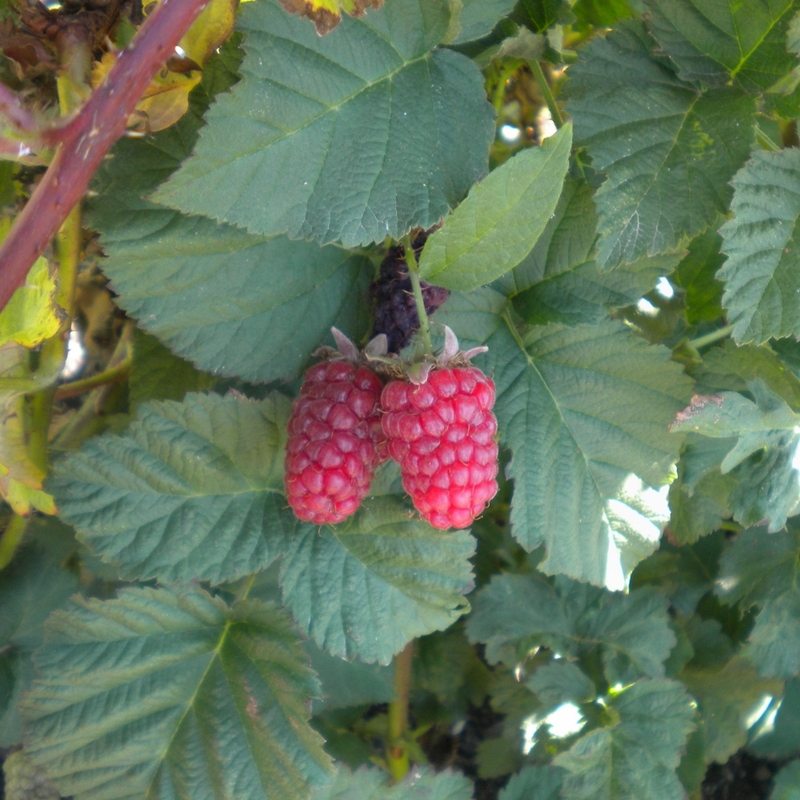 This autumn-fruiting primocane raspberry produces heavy crops of large, delicious firm textures berries from August until the winter frosts. 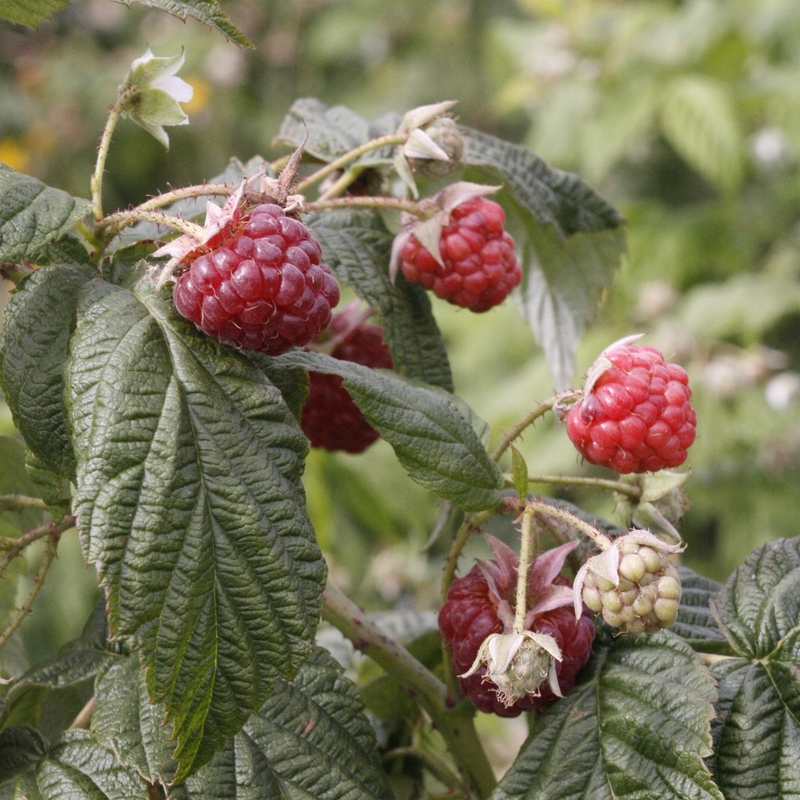 The short, sturdy canes of Raspberry ‘Autumn Bliss’ makes them perfect for growing in smaller gardens and containers as they don’t require supports for their stems. An excellent choice for a sheltered sunny spot with well-prepared, moderately fertile, well-drained soil. In the kitchen: These scrumptious sweet raspberries are delicious used in summery puddings such as fruit salad, eton mess or summer pudding. Or use to make yummy jam or in smoothies. These berries are also good for freezing for use on another day.